Integrity Staffing Solutions, Inc. (“Integrity Staffing Solutions” or “We”, “Us” or “Our”) owns and operates this website. This page (together with any documents referred to in it) tells you the terms and conditions of use (“Terms and Conditions of Use”) upon which you (“You” or the “User”) may make use of the website. Please read these Terms and Conditions of Use carefully before you use this website and download or use any of its content. We reserve the right to change these Terms and Conditions of Use at any time without notice to You by posting changes on the website. You are encouraged to periodically check these Terms and Conditions of Use to obtain timely notice of such changes. Your continued use of the website after changes are posted constitutes Your acceptance of the amended Terms and Conditions of Use. b. This license shall automatically terminate if You violate any of these restrictions and may be terminated by Integrity Staffing Solutions at any time. Upon terminating Your viewing of these materials or upon the termination of this license, You must promptly destroy any downloaded materials in Your possession whether in electronic or printed format. You hereby release Integrity Staffing Solutions, its officers, directors, agents, and employees from all claims, demands, and damages (actual and consequential) of any kind and nature, known and unknown, suspected and unsuspected, disclosed and undisclosed, arising out of, or in any way connected with, any disputes between You and any suppliers, or between You and other website users. You represent and warrant that (a) Your use of the website will be in strict accordance with these Terms and Conditions of Use and with all applicable laws and regulations, including without limitation any local laws or regulations in Your country, state, city, or other governmental area, regarding online conduct and acceptable content and (b) Your use of the website will not infringe or misappropriate the intellectual property rights of any third party. You agree to indemnify and hold Integrity Staffing Solutions and each of our affiliates, successors, and assignees, and their respective officers, directors, employees, agents, representatives, licensors, advertisers, suppliers, and operational service providers harmless from and against any and all claims, demands, actions, losses, expenses, damages, costs and expenses (including attorneys’ fees), resulting from Your use of the website and/or any violation of these Terms and Conditions of Use. We reserve the right to assume the exclusive defense and control of any demand, claim or action arising hereunder or in connection with the website and all negotiations for settlement or compromise. You agree to fully cooperate with us in the defense of any such demand, claim, action, settlement or compromise negotiations, as requested by Us. As between You and Us, We are the sole and exclusive owner or the licensee of all intellectual property rights in the website, and in the materials published on it. Those works are protected by copyright, trademark, and other intellectual property laws and treaties around the world. All such rights are reserved. We grant You the right to use the website for Your own personal use without cost. 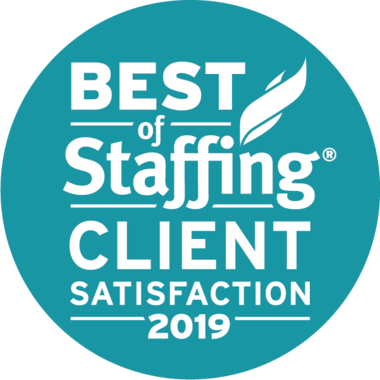 The website itself, and all the trademarks, copyright, database rights and other intellectual property rights related to it, as between You and Us, belong to Integrity Staffing Solutions. You agree not to reproduce, duplicate, copy or re-sell the website or any part of the website save as may be permitted by these Terms and Conditions of Use. You agree not to access without authority, interfere with, damage or disrupt: a) any part of the website; b) any equipment or network on which the website is stored; c) any software used in the provision of the website; or d) any equipment or network or software owned or used by any third party. You may not assign or transfer or purport to assign or transfer Your rights under these Terms and Conditions of Use or under any other contract between You and Us to any other person, and any attempted assignment shall be void ab initio, except as permitted by 12 Del C. § 5001 et seq. or similar laws. We may assign our rights under these Terms and Conditions of Use without condition.